Line Woo, 96, passed away on Tuesday, March 26, 2019. Though petite in stature, Line Woo was a strong willed and determined woman imbued with internal fortitude. After her second divorce, she transformed herself into a successful business woman decades ago when such a career choice for a woman was frowned upon. She became a jeweler and operated two successful businesses whilst at the same time raised and nurtured her three children. All three went on to pursue successful careers in their own right. In her retirement years she enjoyed a full and rewarding second life. She learned the finer art of gourmet Chinese cooking, designed and tailored her own clothes, designed and made ceramic pottery, arranged flowers and engaged in home decorating. 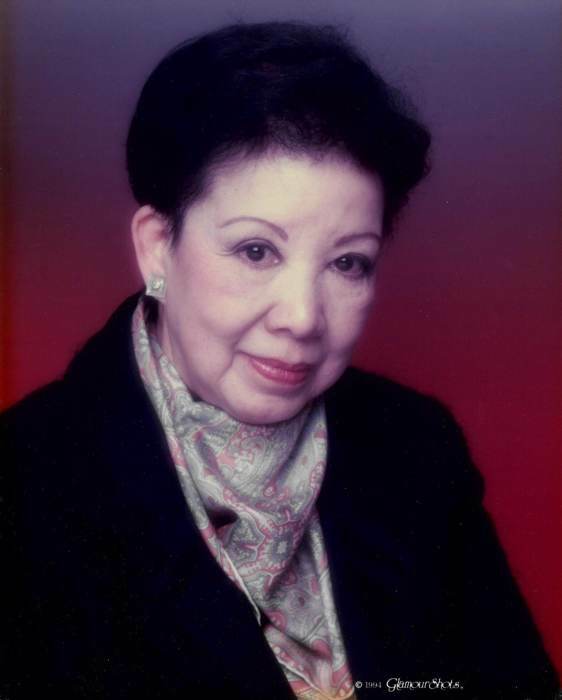 She is survived by daughter Elise and her husband Kenneth Lee; son Nicholas Woo and daughter Loretta and her husband Henry Ng; grandchildren Evelyn (née Lee) and her husband Ryan Matulka, Jonathan Lee and Haley Ng; and great grandchildren Ayden and Kenley Matulka. Line's Life Celebration will begin with a Service on Friday, April 5, 2019 at 9:00 am in the Reflection of Life® Chapel located at 2400 Washington St NE 87110. Interment will follow at Gate of Heaven Cemetery located at 7999 Wyoming Blvd NE 87109.